I’d like to suggest a simple trilemma. When it comes to private platforms and speech regulation, you can choose two of three: scalability, effectiveness and consistency. You cannot have all three. Furthermore, this trilemma suggests that we — whether as users, citizens or indeed managers of the platforms themselves — won’t ever be happy with how speech is regulated on the internet. The problem is that once you learn about what you can’t have — speech regulation that is scalable, consistent and hostile to bad agents — it is hard to get used to that fact. Going forward, we’re likely to see platform companies trying harder and harder, and their critics getting louder and louder. I like his ‘trilemma’ idea. It reminds me of Dani Rodrik’s one, which says that democracy, national sovereignty and global economic integration are mutually incompatible: we can combine any two of the three, but never have all three simultaneously and in full. It isn’t just individual politicians but the political class as a whole that become a matter of contention in many parts of Europe. Four years of Eurocrisis have left us with technocracy on the one hand and populism on the other. The two positions seem completely opposed, but in fact they have one attitude in common: the technocrats think there’s only one rational solution to every policy issue, hence there’s no need for debate; the populists believe there is an authentic popular will and that they are the only ones who can discern it, hence there’s no need for debate. Both sides are opposed to the pluralism that comes with party democracy. Fascinating paper by Thomas Piketty. He constructs a long-run data series from post-election to document a striking long-run evolution in the multi-dimensional structure of political cleavages in the US, UK and France. In the 1950s-1960s, the vote for “left-wing” (socialist-labour-democratic) parties was associated with lower education and lower income voters. This corresponds to what one might label a “class-based” party system: lower class voters from the different dimensions (lower education voters, lower income voters, etc.) tend to vote for the same party or coalition, while upper and middle class voters from the different dimensions tend to vote for the other party or coalition. Since the 1970s-1980s, “left-wing” vote has gradually become associated with higher education voters, giving rise to what I propose to label a “multiple-elite” party system in the 2000s-2010s: high- education elites now vote for the “left”, while high-income/high-wealth elites still vote for the “right” (though less and less so) — i.e. the “left” has become the party of the intellectual elite (Brahmin left), while the “right” can be viewed as the party of the business elite (Merchant right). 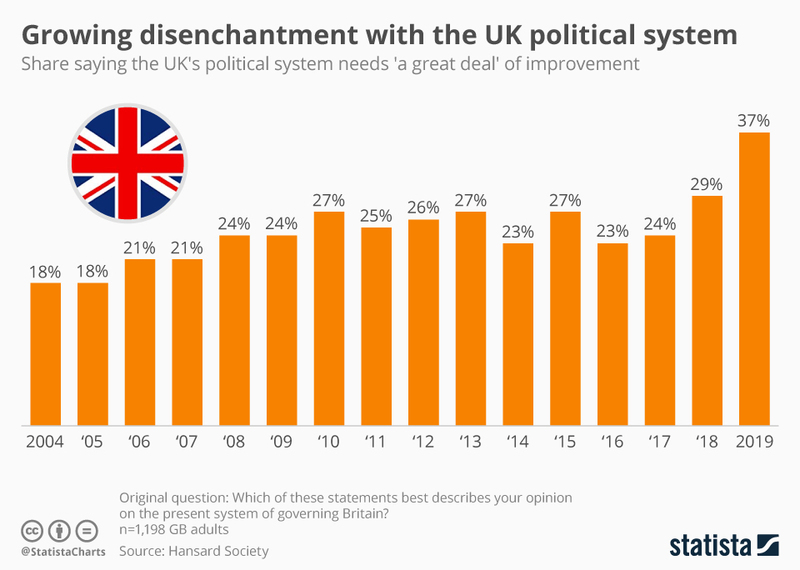 I show that the same transformation happened in France, the US and Britain, despite the many differences in party systems and political histories between these three countries. This links to the observations of Daniel Rodgers summarised below. I’m reading Nick Harkaway’s new novel, Gnomon which, like Dave Eggars’s The Circle, provides a gripping insight into our surveillance-driven future. And now I’m pretty sure I did write a warning after all.